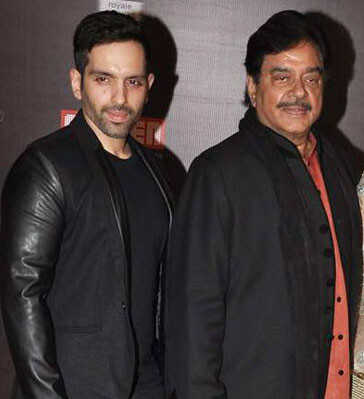 Luv Sinha feels he has not carried forward the legacy of his father and actor-politician Shatrughan Sinha in the right manner due to lack of correct opportunities. He says he needs this year to be the one where he makes all the right moves. Calling his journey in showbiz difficult, Luv looked back at his starry ambitions when his father was honored with the Lifetime Achievement Award at Filmfare on Jan. 14 night. He said he loves acting, and his passion for it will keep on growing no matter how many times he stumbles. Luv posted on Facebook: “My father received the Jio Filmfare lifetime achievement award last night. It was his first Filmfare award, but also the most important one. The actor made his film debut with “Sadiyaan” (2010), which received a lukewarm response at the box office.